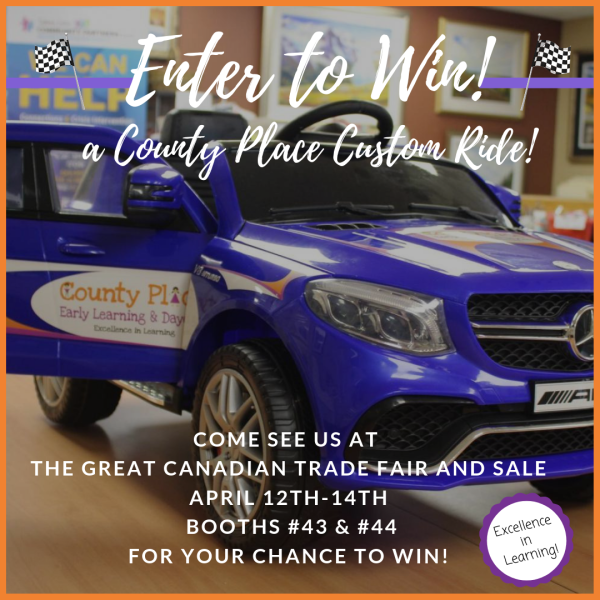 County Place Early Learning & Child Care would like to invite your child to enter our spring colouring contest for a chance to win a Custom Mercedes - AMG GLE 63 S Battery-Powered Ride-On Toy recommended for ages 3-7 years old. Colouring Sheets are also available at the County Place Daycare office Monday to Friday 7 am - 6 pm. And at The Great Canadian Trade Fair And Sale April 12th -14th. Everyone is welcome; including families, local businesses, local residents, family of current daycare children. 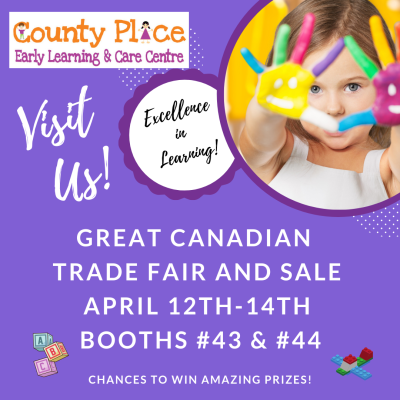 County Place Early Learning & Care Centre is excited to take part in Sherwood Park's Great Canadian Trade Fair and Sale. 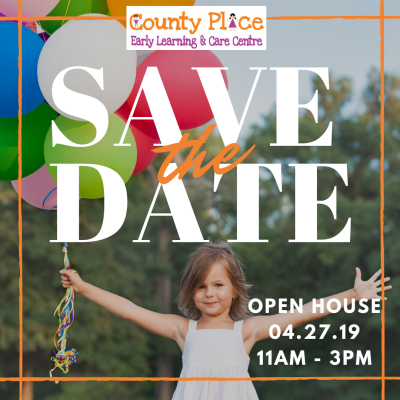 We hope to see you and answer any of your daycare and childcare questions.